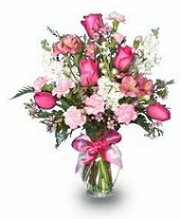 New York Floral Design has been a leading full service florist in the Boca Raton, Florida area for almost 30 years. New York Floral has been a boutique florist in the Boca Raton area since 1987. We strive to meet to meet our customers needs with the utmost expertise! We hope you enjoy your online shopping experience with secure 24-hour ordering at your fingertips. If preferred, you may call us to place orders direct at 561-338-5355. Whether you prefer something time-honored and traditional or something contemporary and modern, we design our arrangements with you in mind. 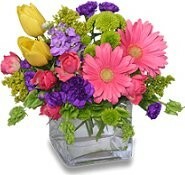 We specialize in quality flowers and offer excellent customer service. The legend lives on!!! Let us create your breathtaking arrangements for all occasions from sympathy, weddings, anniversaries, birthdays, get well or just because. Look to New York Floral Design for unique gift ideas for any age or gender. Brighten someone's day with one of our delicious gourmet and fruit baskets or a personalized gift basket... they make thoughtful gifts anytime of year! We also offer a vast selection of lush green plants, tropical plants, dish gardens, and blooming plants. We offer special event planning from bar mitzvahs to weddings. Daily delivery to local funeral homes and hospitals.